'Dazzling!' Kelly Link'Fortmeyer's humor, sweetness and focus on sexual and medical consent are winning' The New York TimesMorgan Stone was born with a hole in her middle. A perfectly smooth patch of nothing where a something should be. A few photos uploaded to social media is all it takes to create a media frenzy. Overnight, Morgan becomes #holegirl. And then she meets a boy who is literally her perfect match. They could be each other's cure. But can he truly make her 'whole'? 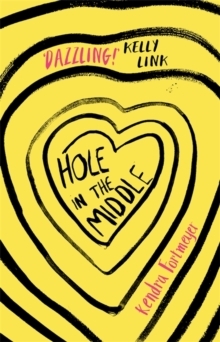 Feisty, feminist and downright different, Hole in the Middle is the story of what happens when a girl who is anything but 'normal' confronts a world obsessed with body image and celebrity. 'Kendra Fortmeyer's debut is more heart than holes, creatively brilliant, wacky and wise.